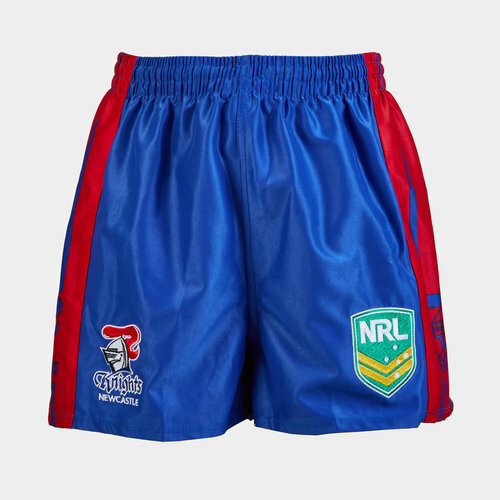 Showcase your passion for the Novacastrians when you pull on these Newcastle Knights NRL Kids Supporters Rugby Shorts from ISC. Newcastle adopted 'The Knights' moniker as a reference to its ‘steel city' industrial heritage. The jersey colours of red and blue were adopted from the district's representative side that wore red jerseys, white shorts and blue socks. These shorts stick to tradition as they are predominantly blue with red detailing down the sides. The NRL logo is on the left whilst the club badge is on the right.